You can now try out Battlefield 1 for free from now until September 8. If you are interested in DICE's upcoming World War 1-based Battlefield 1, you've now got a chance to test it out for free. The game's beta, which was previously only open to EA Access members, is now open for everyone from now until September 8. The beta is open for all three platforms: PC, PS4 and Xbox One. To get started, simply head over to the game's Origin page. Included in the beta is the Sinai Desert map, and a limited selection of class unlocks and vehicles. You can play the map in both the standard Conquest mode, as well as the infantry-focused rush mode. "From infantry skirmishes in the narrow streets of the village of Bir el Mazar to dogfights above the majestic cliffs, you'll need to make tactical use of the dunes as you engage in explosive battles. When all hope is lost, reinforcements will arrive in the shape of a powerful Behemoth: a deadly Armored Train charging through the desert sands." 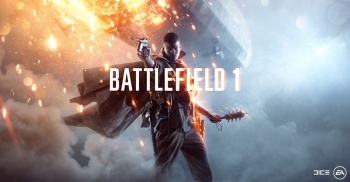 If previous Battlefield betas are anything to go by, this "beta" will not be much more than a glorified demo. Considering that the game launches in just over a month, on October 21, don't expect too much to change from now until then.